The leisure committee are delighted to announce a night dedicated to your training for the summer ahead. 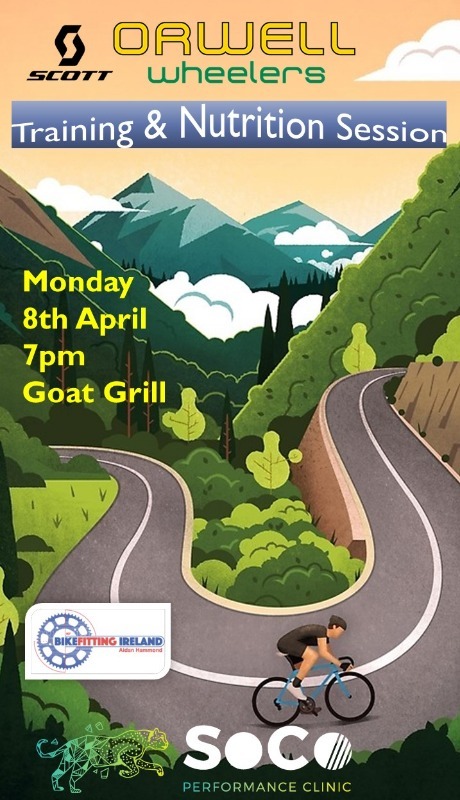 We have 2 fantastic professionals joining us on Monday the 8th April at 7pm in the goat grill. 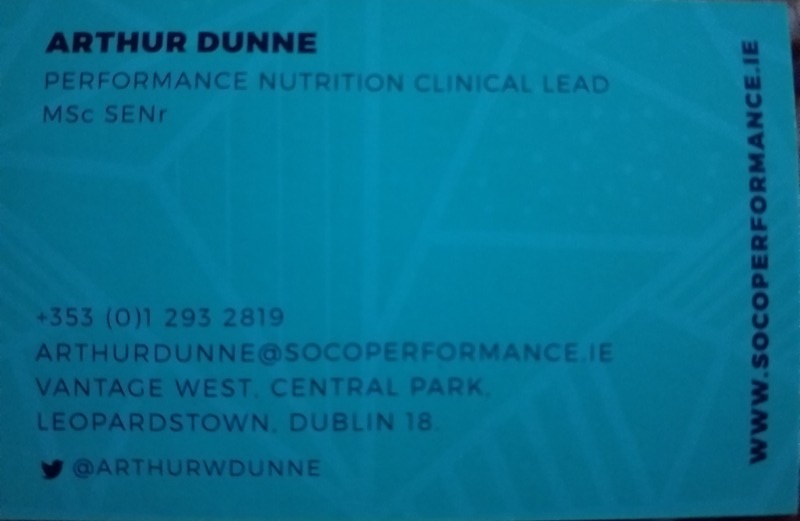 Arthur Dunne, a sports nutritionist and Conor Gavin, a physiotherapist from SoCo performance clinic will start at 7pm with some key skills for cyclists before and after a spin as well as a presentation: fuelling for a great Spin. Orwells very own Cycling Ireland coach and the man behind bikefittingireland.com Aidan Hammond will take us through :coaching and training for your best performance for 2019. All welcome, starting at 7pm, hope to see you all there. Just a reminder of the nutrition and training session on Monday night, the 8th April, upstairs in the goat grill. Starts at 7pm with warm up/cool down by physiotherapist Conor Gavin from SoCo performance clinic, then Arthur (nutritionist from SoCo performance) will discuss fuelling for a spin for your season ahead and we have Aidan Hammond talking training and getting the most out of your performance for 2019. To follow up the fantastic affiliate offer, SoCo performance clinic are very happy to offer a discount to any member of Orwell wheelers wanting to access the clinic for any of their services. Simply mention Orwell wheelers when contacting them. Arthurs contact details are below. Last edit: 5 days 1 hour ago by Rachel McCluskey. Body scan - lying on the ground, can do this for 5 minutes to any ‘5 minute mindfulness’ clip on youtube. Gradually move each joint at the ankles, knees, hips, wrists, elbows, shoulders and neck for 20-seconds each. Recovery protocols - contact us for pdf version of sample recovery template if interested!